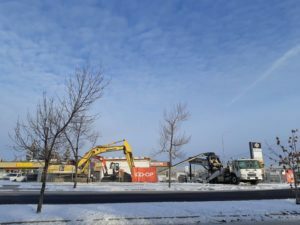 Calgary Co-op continues to update and upgrade the former gas station located at MacEwan Drive and 14th Street NW. 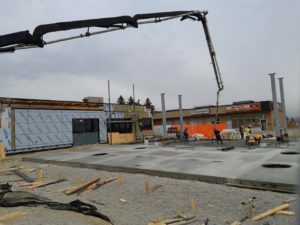 From the new double-walled, electronically-monitored underground tanks to the latest technology tap-and-go gas pumps, the entire station will be brand spanking new from “bottom to top.” The only elements that will remain from the previous operation are the four outside walls of the store. Calgary Co-op says they expect to be open around early June with eight self-service fueling locations with diesel at every pump. 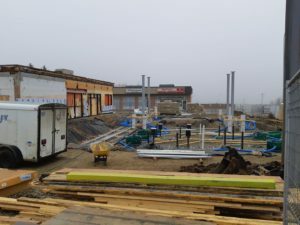 The new convenience store will be selling Co-operative Coffee, ice cream, slushes, milkshakes and more. “We look forward to serving the communities of MacEwan and Sandstone.” Kurt Kadatz, Director, Communications Calgary Co-operative Association Limited.